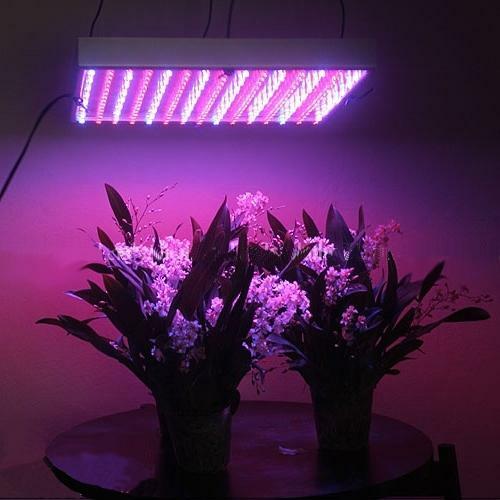 LED grow light bulbs are all the rage lately and are quickly becoming the most popular indoor grow light solution. The technology behind LEDs has made them more powerful than ever, but it takes more than that to drive conventional HID grow lamps out of business. We believe that LED grow lights finally have what it takes when it comes to indoor cultivation. Let’s take a look at some of the most important benefits of replacing your ordinary light bulbs with an LED panel. LED stands for Light-Emitting Diodes. A light emitting diode is a semiconductor that emits light when electrons pass through it. Back in the day, these diodes came in just one color of the light spectrum (blue or red), which made them unsuitable for growing purposes. The reason for that is that plants utilize the whole range of the light’s spectrum for photosynthesis (the Photosynthetically Active Region). Each diode is designed to produce specific wavelengths of the light spectrum, meaning that LED lamps are less wasteful by design. To put things in perspective, HID grow light produces a lot of infra-red light which is not used by the plants. Plants require specific amounts of red, blue and green light depending on their development stage. When considering different variations or particular wavelengths, LEDs offer the most flexibility, as they offer the full light spectrum and can be customized according to the grower’s needs. Like all lights, LEDs also emit heat. However, the amount is minuscule compared to the vast amounts that HID lamps produce. Extremely high temperatures can hurt your plants and dry them out quicker than normal. That’s why growers who use High-Pressure Sodium and Metal Halide (both belong in the HID category) lamps tend to keep them at a safe distance and use fans to regulate the grow room temperature. On the other hand, LEDs are more efficient at transforming electricity into usable light, making them much safer in indoor situations. The cooler temperatures make LED lamps safer to use closer to the plant canopy, ensuring better light penetration. 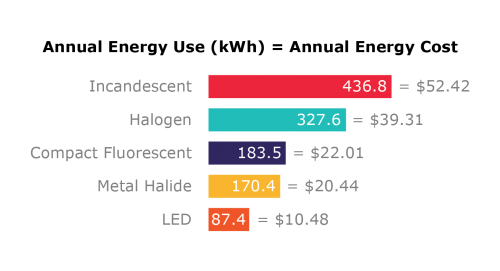 Perhaps the most significant advantage of LED grow panels compared to HID and fluorescent grow lights is their low maintenance cost. Of course, a LED lamp will cost far more than any other type at first, but the savings end up paying for themselves in the long run. 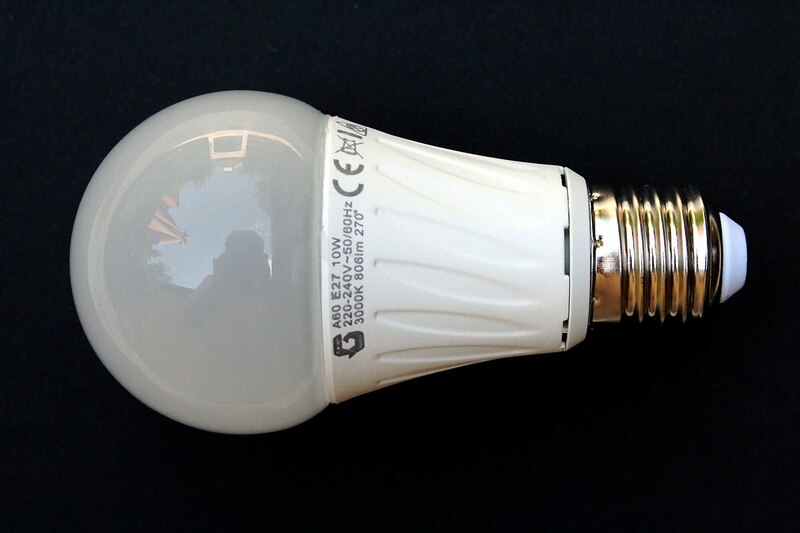 First of all, due to their solid-state technology, LEDs are less wasteful when creating light. Their efficiency, comes with a notable decrease in electricity costs, without sacrificing brightness or power. Also, since there is no filament to burn (unlike HIDs, which contain toxic chemicals), they last about 5-10 times more. An average conventional lamp will last for up to 10,000 hours and start to lose its intensity by 3.000. An average LED panel will last for 50,000 hours at a minimum if operated at 50-70% of its full power. More expensive models with heatsinks will last for double than that. With HIDs, things are pretty straightforward: You get a lamp, a reflector and a ballast that will provide light for your indoor plants. However, there is not much control over your grow, and if there is one thing that growers hate, it is unpredictability. Most LEDs can run on a schedule programmed to your plant’s needs, while some even offer smartphone support for remote control. They can be plugged into standard outlets, and most, if not all, can function in traditional lighting fixtures. Higher-end models include dimmer features, allowing you to adjust rates of red to blue, or green, individually, to find the right balance. LED setups are also usually one integrated unit, not requiring ballasts or other accessories. Finally, their ability to fit into the tightest of spaces is often understated. Not all people have the available space to accommodate HID lamps, as they need to be hung at least one meter above the canopy. Are LEDs the Future? We Think So! LED grow light technology is continuously improving and has already started to gain the grower community’s trust. Traditional light panels such as HIDs and CFLs are always going to be popular among growers, but there are undeniable benefits in using LED grow lamps for your garden. 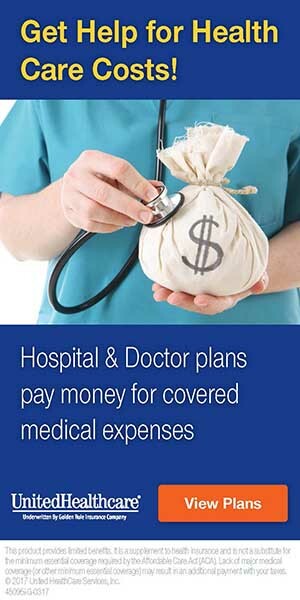 Feeling ready to make the switch? Browse our collection of LED grow lights and see for yourself why they are the cost-effective option. If you have questions about any model, get in contact. We’ll be happy to assist you every step of the way!